(RRP $240) Neoflam Crepe & Pancake pans are healthy and non-stick with an eco-friendly ceramic coating completely free from harmful chemicals and heavy metals. High conductivity & even heat distribution, very durable and scratch resistant, oven & dishwasher safe. Not suitable for induction cooktops. 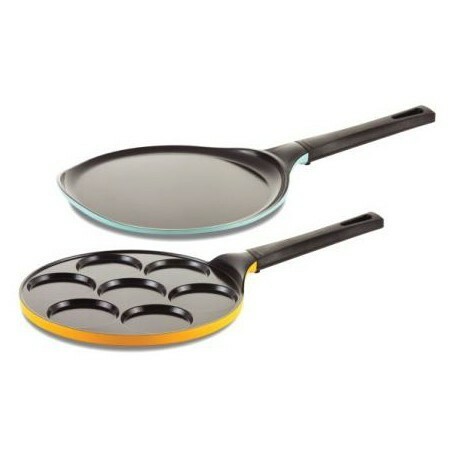 Neoflam Crepe & Pancake pans are healthy and non-stick with an eco-friendly ceramic coating completely free from harmful chemicals and heavy metals. 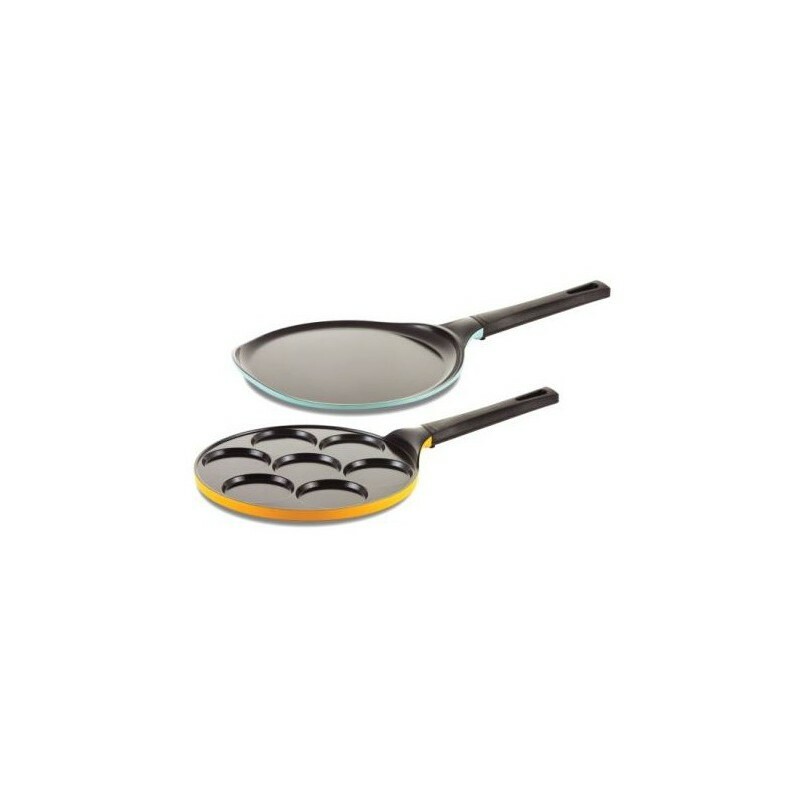 Set of 2 custom designed for making briliant crepes and pancakes. High conductivity & even heat distribution, very durable and scratch resistant, oven & dishwasher safe. Not uuitable for induction cooktops. Suitable for use on all cooktops (excluding induction).